Jacki Van Valkenburg-Lapp is based at N85, Alexandria Airport, Pittstown, New Jersey. I received my private pilot’s license in 1987 in a Cessna 152. A year later I married a corporate pilot who had recently purchased a 1950 Piper Pacer. What luck to have the love of my life own his own plane! It took many, many trips around the patch in the taildragger but I finally soloed. 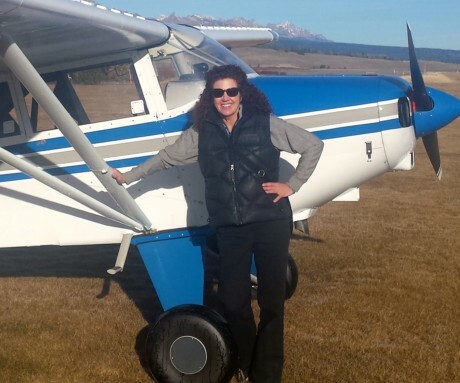 Luckily, my new husband had a current CFI — plus lots of patience! Hank and I flew the Pacer (“Patsy”) everywhere; always attending weekend flyouts. We built a house at the newly sanctioned N85 Airpark and lived happily with the runway in our front yard for 9 years. Sadly, Hank passed away in 1998. I kept our baby — the Pacer — and continue to fly it today. Without my original flying partner I find myself a bit timid in cross wind situations, but I keep plugging along trying to overcome that. I’ve long since moved from the airpark and even re-married five years ago. My current husband is not a pilot but is a wonderful passenger and welcomes riding along whenever he can. Aviation has encompassed most of my life. I have worked as a flight attendant for 37 years — first with the airlines and for the last 25 years with various corporations. 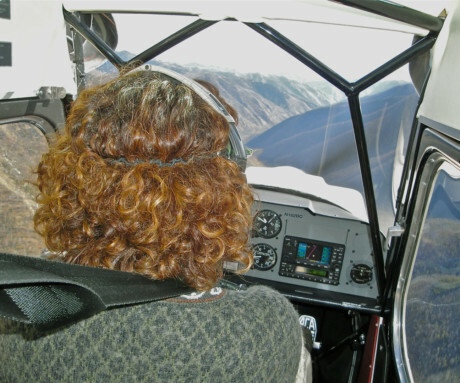 I am now working strictly on a contract basis, so I hope to have more time to take to the air with Patsy. Welcome to the group. Glad to hear you keep “plugging away”…crosswinds are tough in the Pacer. My Dad was a Piper dealer down in Baltimore so I have a fondness for Pipers. I fly for Netjets so I will keep an eye out for you at TEB.